Noble Energy surveys in the Eastern Mediterranean have revealed significant oil reserves in the Cyprus Block 12 beneath the natural gas deposits discovered two years ago; further exploration will follow. 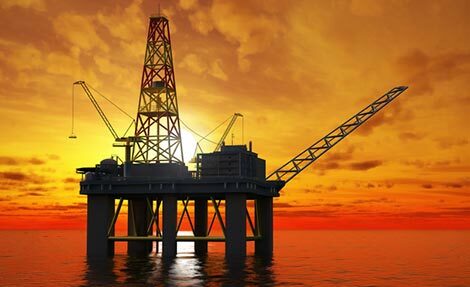 NOBLE Energy has announced the discovery of approximately 3 billion barrels of gross unrisked oil potential in the Eastern Mediterranean at a depth of 7,500 metres below the seabed between Cyprus and Israel. Unrisked reserves are those which have already been developed by drilling and production and thus have a very reasonable certainty of being produced. Risked reserves are either probable or possible. In its press release that the company issued yesterday Noble said that “significant exploration potential remains” and that it has plans to “resume exploration drilling in the Eastern Mediterranean in late 2014 or 2015”. Cyprus block 12 may hold in the region of 1.2 to 1.4 billion barrels according to reports. It should also be noted that the time and cost involved in drilling and extracting oil is considerably less than that for natural gas and could result in an earlier boost to the island’s economy. Of course there are oil deposits beneath the gas, where on this earth has that never been the case. North Africa has been producing oil for some 50+ years now so this is I fear just another sound bite masking the true state of affairs. A boon for Cyprus & those who will exploit it but not news I’m afraid, the fact is an inevitability, the only question will be if the reserves are economically recoverable and who will see any benefit. Remember Harold Wilson told the UK public that everyone will become a millionaire when North Sea oil started to flow – you know what the reality was & is. Don’t count your chickens until hatched is probably sound advice. Cyprus was a very rich country, with high quality of life. I have been there for 5 years and it was great. Hope Cyprus will be again much more rich, finding gas and oil… good luck. Talk about putting your hands down the toilet and coming out with a box of chocolates. I wonder if the Title Deeds will be below the Oil? Diamonds found under oil will be next. Look to the future and ignore the problems of today eh!